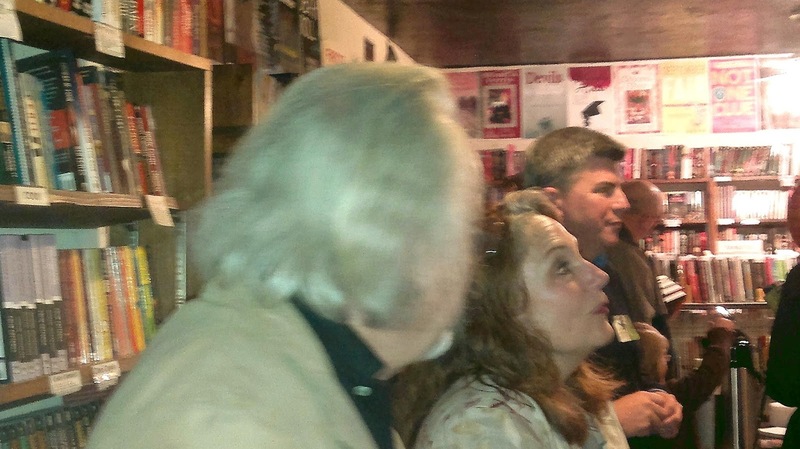 WRITES OF SPRING, an anthology about -- you guessed it -- spring, launched Saturday at Once Upon A Crime bookstore in Minneapolis. I was proud to have my short story about spring rowing accepted and published among the other fine works. 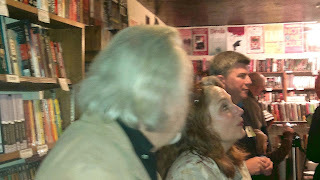 Many of us authors were on hand to chat with readers and autograph books. See below. I must have been talking to someone tall. Photo by Gary Bush.